Construction of Building 3 began in January 2018 and was launched due to high demand for space at the fully occupied park. 14,175 square metres of additional space to Stavebniny DEK, a leading Czech building materials supplier. The company already occupies 6,968 square metres in Building 2. 13,974 square metres to FIEGE, a leading Germany-based logistics company, resulting in a near doubling of its leased space in the park. The transaction was facilitated by 108 AGENCY. “To lease this speculative development so soon after the start of construction shows just how high demand is for facilities in an area that is rapidly becoming a new logistics hot spot in the Greater Prague region,” says Martin Baláž, director of leasing and development, Prologis Czech Republic and Slovakia. 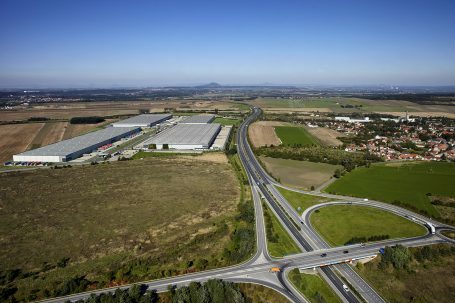 Prologis Park Prague-Uzice is a modern logistics park located on the D8 highway, 9 kilometres north of Prague leading to Germany. The park currently comprises two state-of-the-art logistics facilities totalling 97,800 square metres and has additional development potential of 40,850 square metres. As is customary for all new Prologis facilities in Central and Eastern Europe, the building will be submitted for BREEAM accreditation upon its completion in mid-2018.